This article is written from the context of agreeing to action an idea someone else proposed, only for things to not play out as planned. Just as not all of our own ideas are perfect, the people around you will propose improperly thought out plans. We sometimes find ourselves being let down after agreeing to abide by someone else’s plan. It may be going to the theme park without checking the weather report, only to be rained on. It can also entail your teenage daughter selecting to attend a university program which she later regrets attending. This article attempts to discourage you from reminding the owners of bad ideas, of their ownership of those ideas. 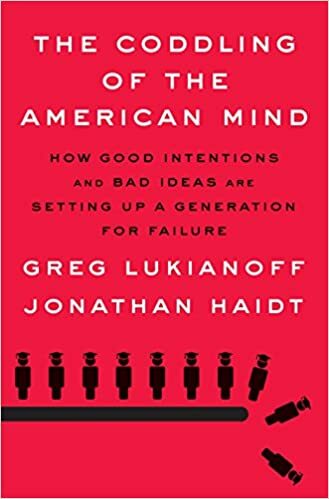 It seeks to mention that your act of pointing out who owns bad ideas, first and foremost, doesn’t entice people to like you. Perhaps more importantly, it establishes you as an unneeded presence in an effort to solve the issues at hand. Rather than serving to be an aide in a plan gone awry, constantly reminding people of what they already know (and don’t like) will serve to quickly label you as somebody to not have around when things don’t go according to plan. If a group of people don’t enjoy themselves at a party you’ve planned, you’d likely be sensitive to that fact. You’ll notice the low energy in the room, and will realize that people are leaving early. You won’t be having fun yourself, as you’d be anxious over not providing a pleasant experience for those who’ve chosen to spend their evening at a party you’ve planned. You’d worry about the reputation you garner for throwing mediocre parties, and you’d perceive your social status to take a hit. When others are negatively affected by plans we make, or ideas we put forth, we are often the first to recognize their inconvenience. We may also be the most affected by that news, as we place a personal stake onto the success of our plans. Needless to say, others suffering due to plans we’ve made ourselves is an uncomfortable realization all the way around. As you go on to feel a desire to call out the owners of plans gone wrong, take a second to meditate on what you’d be attempting to achieve as a result. If you’re playing the role of a news bearer, then take a moment to analyze whether or not the owner of the plan / bad idea in question realizes that their idea is in fact bad. See whether they’re already desperately trying to solve the issue you’ve so intelligently noticed, and whether they were ahead of you in noticing those issues. On the other hand, if you’re seeking to shame the owner of a bad idea even if you’re aware that the owner knows about their idea being bad, then perhaps you shouldn’t. Doing so would be a malicious deed, serving to fuel their discomfort into socially painful realms. You wouldn’t allow them to save face, and would only serve to lessen the chances of turning a current, painful, situation around for the better. If your goal is to help an owner of a bad idea turn things around, being inconspicuous in your attempts would fair better than being explicit about your observations. Serving to publicize, shame, and bring discomfort, will not be considered helpful by the owner of plans gone wrong. Especially if they already know about their plans not playing out in an expected manner, reminding them that, “It was your idea, so don’t complain,” doesn’t do anyone any good. Whilst attempting to help others who either voice a need for help, or whom you realize need it, veer on the side of reducing any possible shame associated with their situation. If your friend recommended a restaurant in which the service was atrocious, communicate your prior experience with that restaurant being favorable. In an effort take pressure away from the person who recommended the restaurant, mention that online reviews seemed favorable, and that the sub-par service may be circumstantial and was difficult to anticipate. Try doing your best in allowing the planners of events gone wrong save face in moments within which they realize it to be difficult to recover from a particular situation. Steer away from bringing them shame by reminding them, and those around you, about their ownership of plans which inconvenienced yourself and others. Remember, reminding everyone about this already understood information does not solve as many issues as it serves to propel forward in growth.